Author: Dupre, Kelly Set In . . .
Home to the musk oxen, narwhal, polar bear, and raven, Greenland—the earth’s largest island—seems to hold the magic and mystery of the far north. What would it be like to visit there? To kayak along its remote shores, dogsled through its tundra, visit its tiny villages? With charming linoleum block prints, Kelly Dupre follows the long, difficult journey of two men. 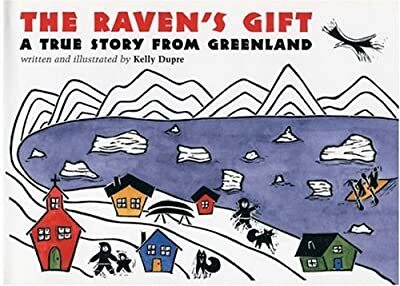 In simple words, she captures the tenacity and vitality of all that they see—and subtly reveals to children what can be learned from a place like Greenland.